The Johnnie Mining District may be historic in nature and worthwhile to poke around a bit if you are into history, but there is another reason to go there. 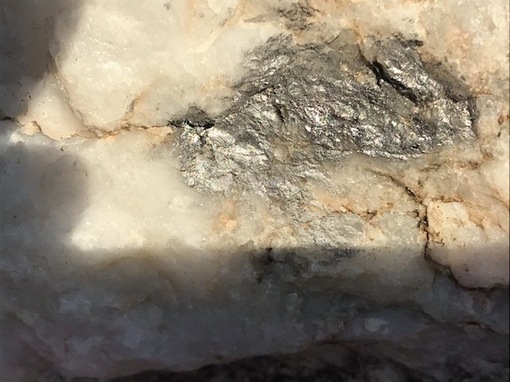 Like most mining districts in Nevada, people can find some pretty good rocks, and even gems. Most rockhounds know that where there is gold to be found there are other types of precious stones too like silver, copper and even gems. I have found some silver, copper and even a gemstone or two, like turquoise, in this district. In the summer, the best time to go is in the morning and the late afternoon when the temperatures are cool. Cool, but you have to be mindful of rattlesnakes hiding in the bushes and rocks. One thing most tourists don’t realize is that most mining districts are under the Bureau of Land Management, and this means taking of cultural artifacts — that is, anything man-made older than 100 years — is prohibited. Be safe, and check the laws. If you find any fossils, they can’t be taken if it is a vertebrate fossil. If you have any questions about what can be taken from BLM land, check the BLM website. The Johnnie Mining District has been in the Pahrump area since gold was discovered there in early 1891. Two large mines were opened, the Johnnie and the Congress mines. By 1895 only the Congress mine was open, and by 1899 both mines had closed. The Congress mine reopened in 1905, but by 1914 things started to fade. Then, in 1916, the last big activity started, and that diminished in 1935. Since 1935 the mine has been private, and it was only recently given to the Pahrump Valley Museum, which is the current owner. No tours have been set up because the museum must wait 10 years before they can do anything with the property. 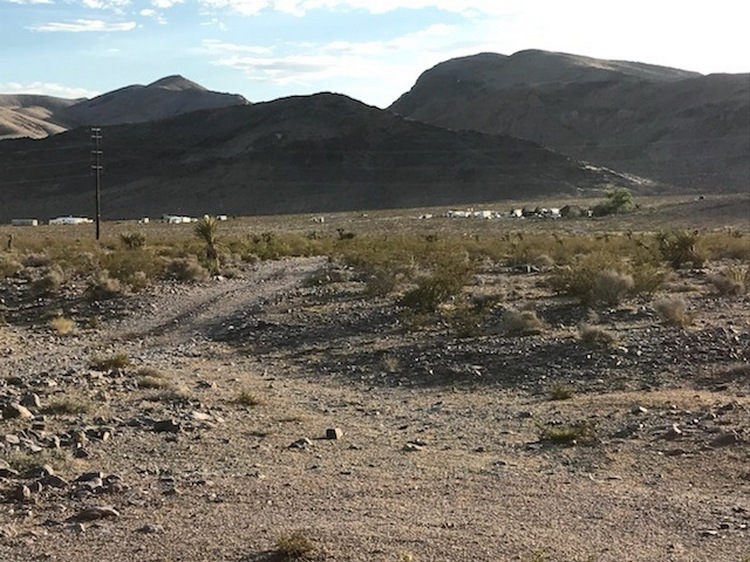 Marilyn Davis, the Pahrump Museum Director, said the museum can answer questions about the property, and they have a lot of information about the general area. The mining district is open, one just has to watch out for claims if you are rockhounding. There are a lot of people that placer mine, and there are a few small gold mines in the area. For most people who are just out for the exercise and looking for some precious stones, the laws are not complicated. Rocks laying on the ground are no problem. You really only run into problems when you start digging. Stick to the stuff on the surface and you should be fine. Also, be mindful of any Native American artifacts like arrowheads, which need to be left behind. I rockhound with my wife for the peace and quiet. 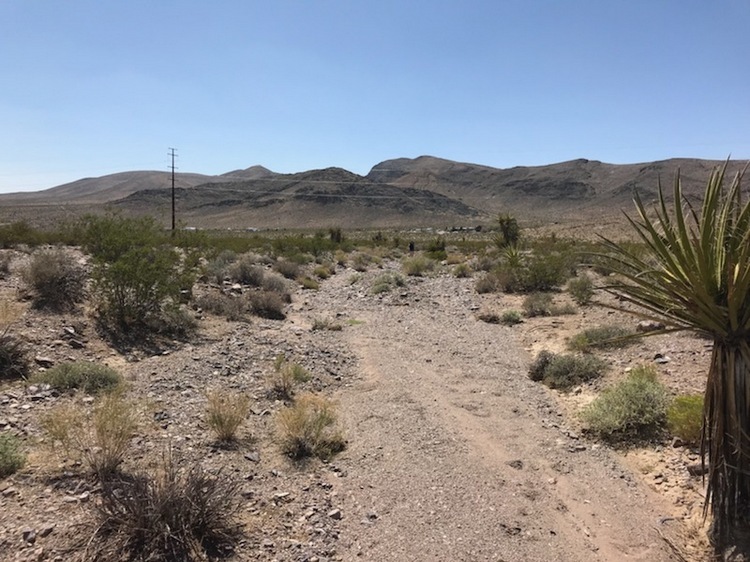 There are few people out and about in the hills and deserts surrounding Pahrump, which always amazes me because of the beauty of the area. 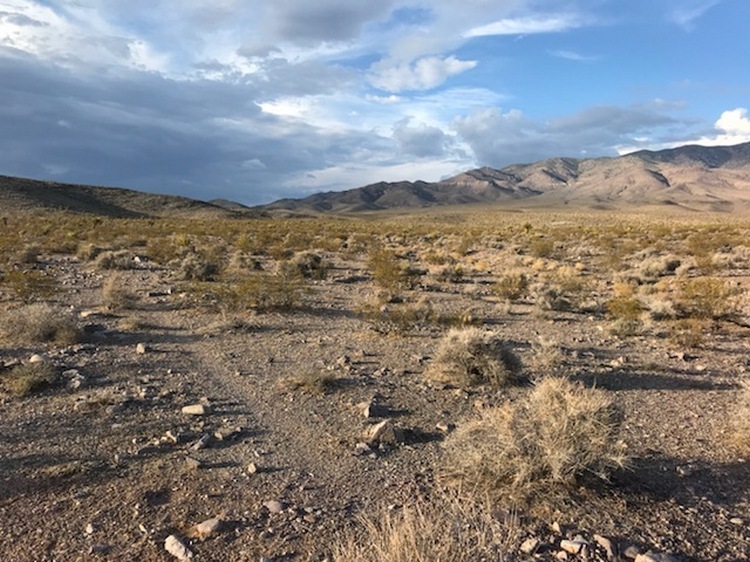 To access the Johnnie Mining District, take Nevada Highway 160 15 miles north of the main part of Pahrump and drive until you arrive at the big bend in the road, which heads to US Highway 95. Once at the bend, exit the road and you will see a dirt road. Enjoy. For more information on the town of Johnnie and its history, contact the Pahrump Valley Museum at 775- 751-1970, which is open from 9 a.m. to 5 p.m. Tuesday-Sunday.